For almost 30 years Dave Quinton was welcomed as a family member into the living rooms of Newfoundlanders and Labradorians. As the face of CBC-television s Land & Sea, Quinton brought viewers into overlooked outports, introduced them to the men and women who lived there, and showcased the province s natural beauty. During his decades as host, Quinton witnessed tremendous change and reported history as it happened. But what of the things viewers didn t get to see? The outtakes, the misadventures, the touching stories away from the camera? 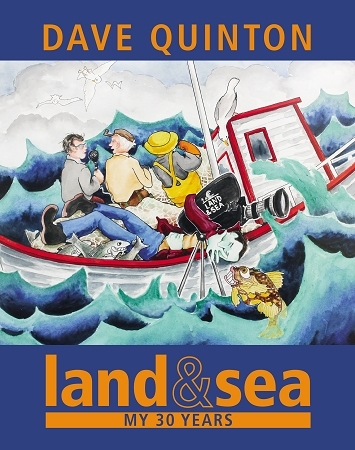 Quinton has compiled many of his favourite tales, poignant memories, and keen observations, enlivened with over 100 full-colour photographs. Told with warmth and wit, Land & Sea: My 30 Years sheds new light on a beloved television show and the people and province who inspired it.